RConversation: China's Big Bro and Sis now have names and faces! China's Big Bro and Sis now have names and faces! Meet "Jingjing" and "Chacha"- your friendly Chinese internet police! Seriously, this is not a joke. These cartoon web cops named "JIngjing" and "Chacha" (the word "jing cha" means "police" in Chinese) will apparently be patrolling websites originating in the southern Chinese city of Shenzhen. Starting today, when netizens visit all the main portals of Shenzhen city, Guangdong, they will see two cartoon figures "Jingjing" and "Chacha" (Jing Cha = Police). 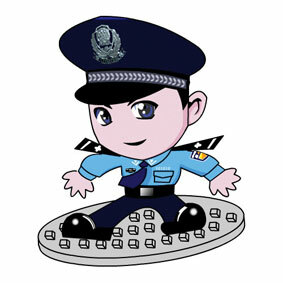 The image of Shenzhen Internet Police will officially be online. From now on, when netizens visit websites and web forums of Shenzhen, they will see these two cartoon police images floating on their screen. Our reporter learned that these are the images of Shenzhen Internet Police, presented by Internet Surveillance Division of Shenzhen Public Security Bureau, for the first time in China. "The main function of Jingjing and Chacha is to intimidate, not to answer questions," our reporter was told by officials in charge of The Internet Security and Surveillance Division of Shenzhen Public Security Bureau. The Internet has been always monitored by police, the significance of Jingjing and Chacha's appearence is to publicly remind all netizens to be conscious of safe and healthy use of the Internet, self-regulate their online behavior, and maintain harmonious Internet order together. So now we must revise Susan Sonntag's phrase. Communism has become fascism with a cartoon face. Reminds me of US Army using violent video game as recruiting tool. While I don't wish to start a war over the idea, I'd like to remind Bobby to please refrain from politically-charged statements like "violent video game". It's only really "violent" to those who have trouble separating fantasy from reality. Additionally, the version of the game the Army actually uses is substantially different from the released game - the physics are modified to make the gameplay more exciting, while the recruiting tool is significantly more realistic at the expense of gameplay. The game in its strictest sense is not the recruiting tool. 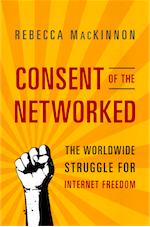 No matter how China may open to the world it is still a closed society. Foreigners are not welcomed and their extra-territorial ideas can not be acceptable to this truly ancient mind-set. Jingjing and his buddy could just as well be Boris and Natasha of the Bull-Winkle fame, they represent to the West a weird mindset and unfortunately probably our next world war enemy. 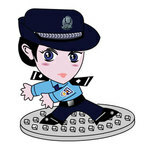 ANY ONE KNOW EMAIL ADDRESS OF POLICE IN SHENZHEN ?